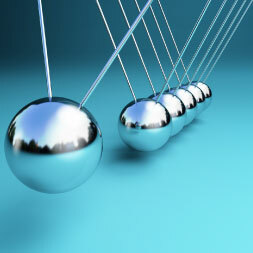 Learn more about the physics of motion, speed and time. Motion, speed and time are three fundamental concepts in basic physics and they are important building blocks for understanding more advanced topics. This course introduces you to how distance, speed, time and mass are combined to give displacement, velocity, force and acceleration. Newton’s 3 Laws of Motion, which are the bedrock of much of our understanding of physics today, are also introduced and explained in a clear and concise manner. Along with explanations of the formulae used, a number of examples are worked through, giving a full understanding of the subject. References are also made as to how these formulae are used in real-world situations. By studying this course you will gain a clearer knowledge and understanding of important topics in basic physics. This course will be of great interest to students who are studying physics, chemistry, engineering, mathematics and some medical sciences, and to students who wish to pursue a career in any of the sciences or engineering fields, and to the individual who wants to understand how the world around us works. Upon completion of this course, you will be able to: - Differentiate between vector and scalar values; - Discuss Physics Notation; - Describe of how vectors, such as velocity and acceleration, are derived; - Calculate the unknown values from the known values; - and identify Newton’s three Laws of Motion.